With competitive rates, umbrellatravel.com delivers online reservations of near 200 hotels in Cuba as well as booking of transportation services both in private and group transfers. Serving many traveler segments, we are capable of assisting with hotel accommodation and local transportation, individuals arranging a short stay, families seeking a vacation plan, or even groups of family and friends with a more specific travel plan. 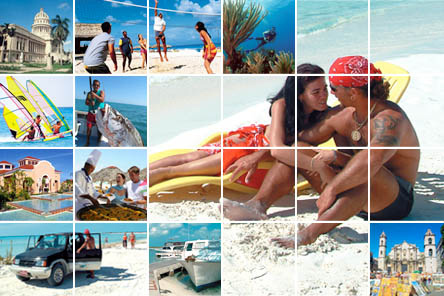 We provide constant follow-up over all reservations to minimize service faults and provide all travelers, both our direct web customers and those of our collaborating partner agencies abroad, with 24/7 mobile phone assistance in Cuba to help them in case of any trouble or simply to ask a question. We act as a channel between our clients and the local providers, hotels and transportation suppliers to facilitate communications and render a stronger, more reliable service(s) execution. Umbrellatravel.com assists travelers to fulfill hotel accommodation needs in Cuba. With over 10 years of presence in Cuba, today Umbrellatravel.com is an inbound travel agent with a wealth of experience in the Cuban hotel and resort product. We provide easy, fast and reliable online bookings of Cuba hotels from a complete selection of properties and resorts in most Cuban destinations. Our presence in Cuba and our well established cooperation with hotels and the main local service providers, allow us to offer a broad proposal of accommodations from small budget hotels to luxurious resorts around the island. We provide both private and group transfer services. With your private transportation, cars and buses are made available only to you or your group and at the needed times of pick up. Group transfer services are more budget - like solutions where shuttle buses make the pickups and drop offs at airports and / or hotels. These are available between most frequently used airports and destinations and are also very safe means of moving around. Airport inbound and outbound transportation, as well as inter-hotel transfers, are accessory services we provide to complement your hotel services with umbrellatravel.com. We offer, in addition to your lodging needs, taxis, minivans or bigger buses for higher numbered groups of travelers. Although a near two million tourist/ year industry, Cuba’s tourism is still immature and issues can happen. 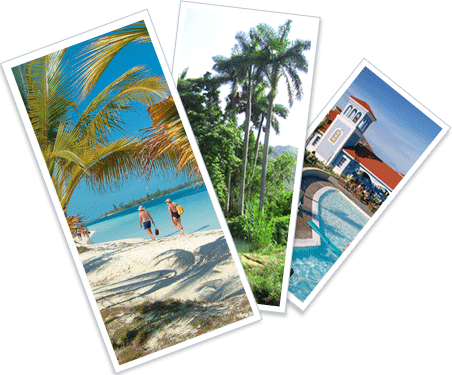 We make ourselves responsible for your accommodation and transportation while in Cuba. We double check every service, establish communications with the providers, hotels and travelers when necessary and make ourselves available to you 24/7 in case of need. We count with the flexibility, human resources and information technology to constantly track and respond to unexpected trouble when necessary, providing our customers with the support needed when vacationing in Cuba.